The Devil's Financial Dictionary - IFA Vintage and Current Book Library - Index Fund Advisors, Inc. 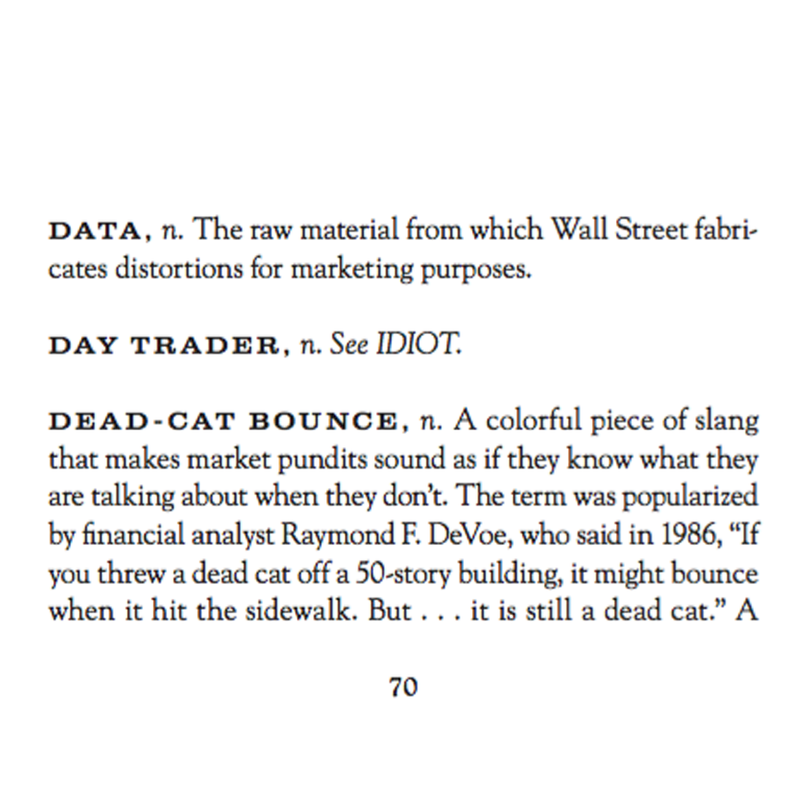 The Devil’s Financial Dictionary skewers the plutocrats and bureaucrats who gave us exploding mortgages, freakish risks, and banks too big to fail. And it distills the complexities, absurdities, and pomposities of Wall Street into plain truths and aphorisms anyone can understand. 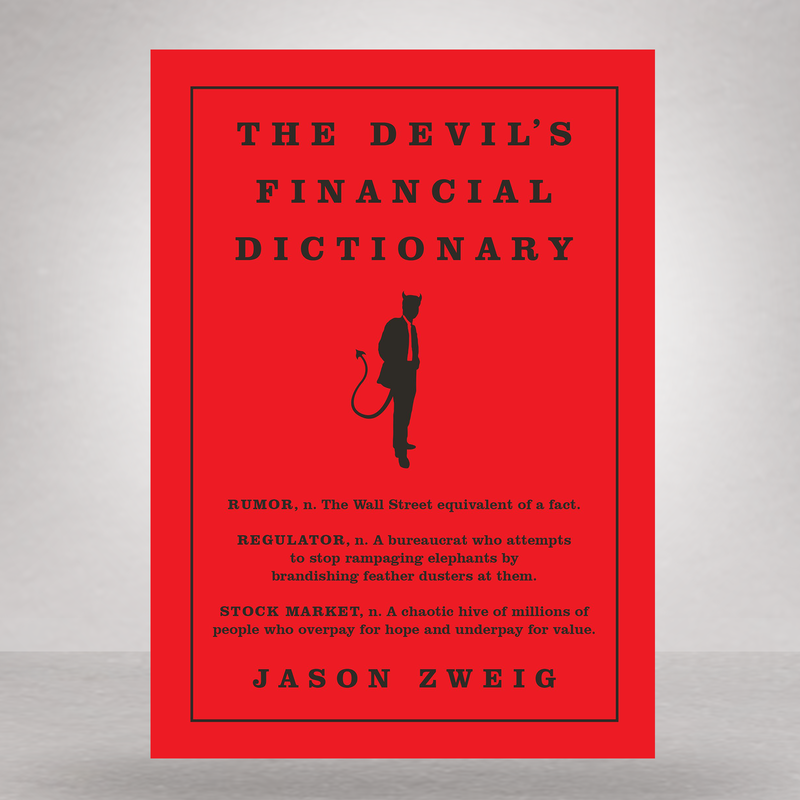 An indispensable survival guide to the hostile wilderness of today’s financial markets, The Devil’s Financial Dictionary delivers practical insights with a scorpion’s sting. It cuts through the fads and fakery of Wall Street and clears a safe path for investors between euphoria and despair.